Aging is accompanied by many physiological changes including those in the immune system. These changes are designated as immunosenescence indicating that age induces a decrease in immune functions. However, since many years we know that some aspects are not decreasing but instead are increasing like the pro-inflammatory activity by the innate immune cells, especially by monocytes/macrophages. Recently it became evident that these cells may possess a sort of memory called trained memory sustained by epigenetic changes occurring long after even in the absence of the initiator aggressor. 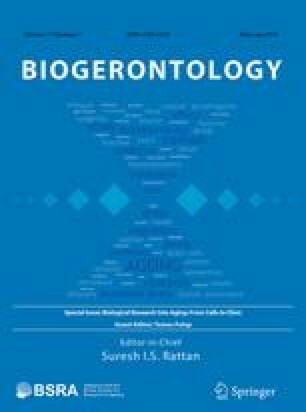 In this review we are reviewing evidences that such changes may occur in aging and describe the relationship between inflamm-aging and immunosenescence as an adaptation/remodelling process leading on one hand to increased inflammation and on the other to decreased immune response (immune-paralysis) mastered by the innate immune system. These changes may collectively induce a state of alertness which assure an immune response even if ultimately resulting in age-related deleterious inflammatory diseases. This work was partly supported by Grants from the Canadian Institutes of Health Research (CIHR) (Nos. 106634 and 106701), Canada Research Chairs (SCC) the Université de Sherbrooke, and the Research Center on Aging. Anis Larbi is funded by the Agency for Science Technology and Research.